A chill in the air cannot stop Downtown West Chester from doing anything. The second weekend of November has everything from wine tasting to fall foliage tours and art exhibit openings. Whatever you are in the mood for West Chester has this weekend! 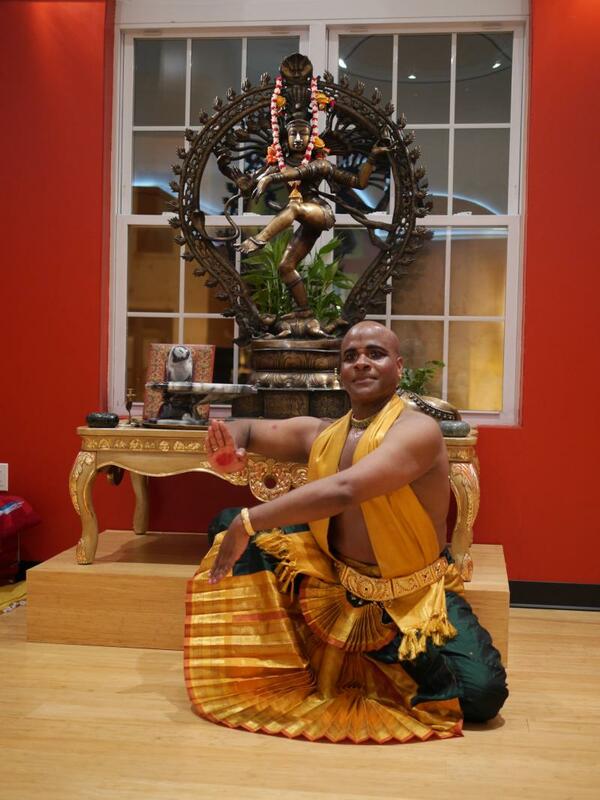 The Sama Center is hosting a performance of Bharata (classical south Indian dance) presented by Mr. Jaan R. Freeman, Artistic Director of New York's Dakshina Palli Inc, and Bharata Natyam dancer. This artistic performance brings together Hindu Philosophy, Eithics, hindu Mythology, Carnatic Music (South Indian music), poetry, rhythm and movement of 18th century South India. Starting at 6 p.m. be sure to check out this unique cultural experience. Venue information here. 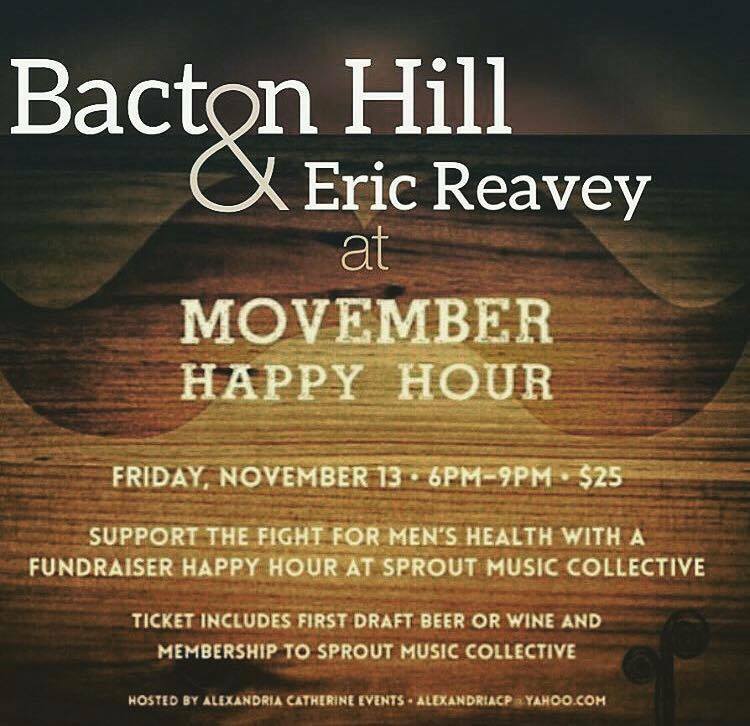 Also starting at 6 p.m. Friday is the Movember Happy Hour at Sprout Music Collective. Ticket purchase includes a draft beer or glass of wine, extended access to the happy hour drink menu, and a donation to the Movember Foundation that specializes in men’s health research and awareness. This event goes until 9 p.m. but guests are encouraged to stay long. Ticket information here. Hurry up these tickets are going fast! 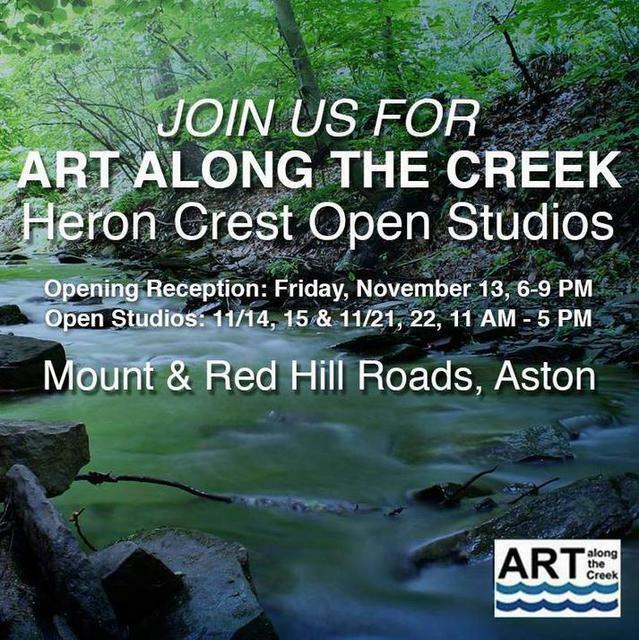 Opening Friday night at 6 p.m. is Art Along The Creek presented by Heron Crest Open Studios. The show will be running this weekend and next, November 21 and 22. Friday is the opening gala, be sure to attend, meet the artists, and enjoy food, drinks, and live music. Find more information on the event page here. Saturday night head over to West Chester University for the Original Soul Sounds of Philly. The Uptown Entertainment Alliance and WCU Cultural Affairs present Russell Thompkins, Jr. and the New Stylistics, with William Hart & the Delfonics. Celebrating their 12th anniversary Russell Thompkins, Jr. and the New Stylistics remain dedicated to bringing the true Mowtown sound of the North with them to each performance. Along with the Delfonics this is a musical experience not to be missed! Ticket information here. Stop into the Boxcar Brew Pub and have a weekend filled with music Sunday from 2 p.m. to 8 p.m. 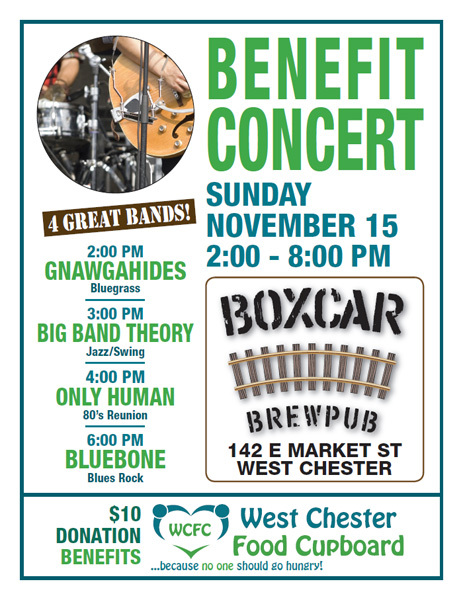 Featuring four different bands Boxcar is putting on a benefit concert for the West Chester Food Cupboard. Musical artists include: Gnawgahides, bluegrass; Big Band Theory, jazz / swing; Only Human, rock; and Bluebone, electric blues-rock. Listen to some great music and support a local charity! More information on the bands can be found at Boxcar’s site. Finish out the weekend with a relaxing train ride through scenic Chester Creek Valley in Southern Pennsylvania. Running through most of November this heated train ride takes passengers through beautiful fall scenery. Make sure to take advantage of the changing leave while they’re around! Ticket information here.